Offering a garden with children's playground, Locanda Le Piante is 5 minutes' drive from Manerba town centre and Gardagolf Country Club. The shores of Lake Garda are 2 km. Rooms at Le Piante Locanda are air conditioned and feature marble floors and ethnic furnishings. They also include an LCD TV and a private bathroom with free toiletries and a hairdryer. Breakfast is buffet style and includes homemade bread and cakes, fresh croissants and fruit. Locanda Le Piante's restaurant serves Mediterranean cuisine, fresh fish and grilled meats at lunch and dinner. The property also features free parking, a free internet point at reception and free Wi-Fi at the restaurant. There is a games room for children aged 12 and under and a terrace where you can enjoy drinks from the bar. 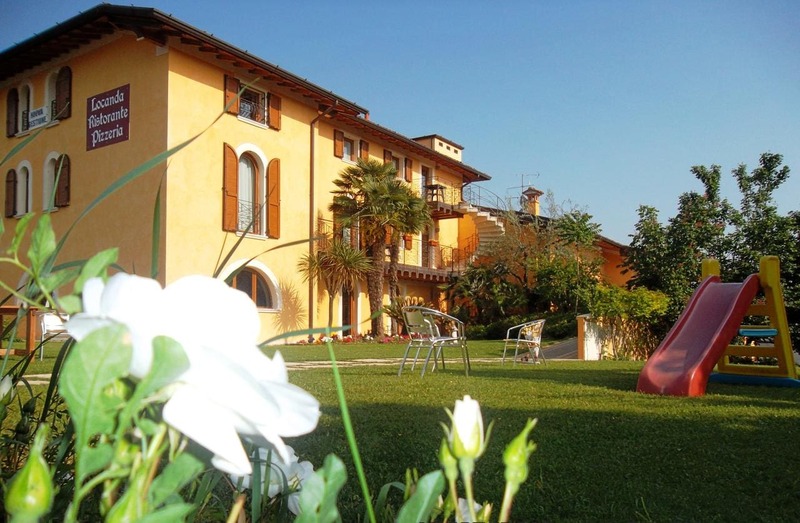 The nearest bus stop is 100 m away for links around the area and to Desenzano del Garda Train Station 12 km.